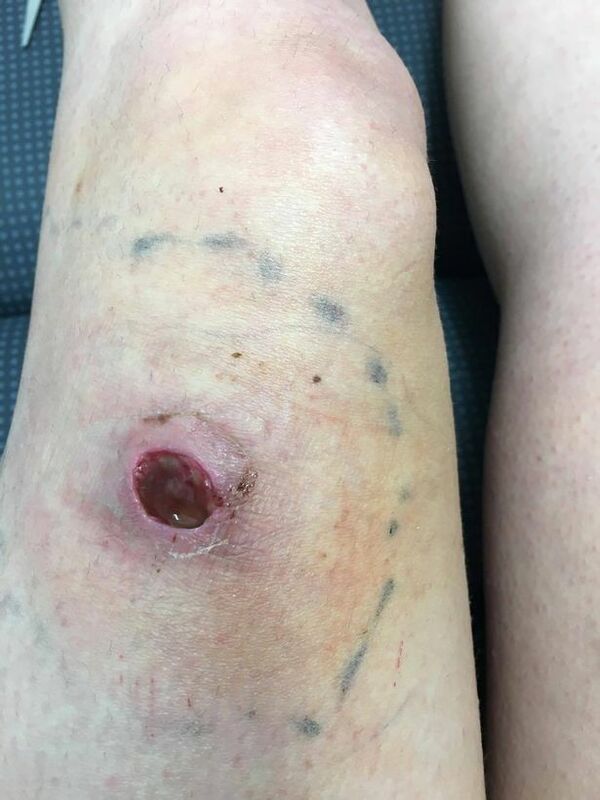 A mother-of-four was left with two deep scars after she was bitten by a garden spider and had to be hospitalised. 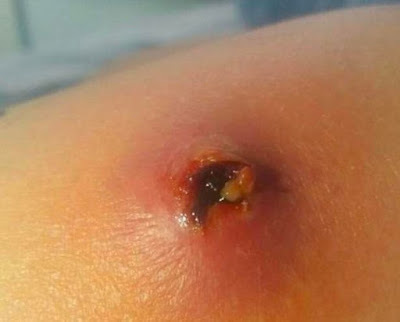 Lauren Boddy, from Reading, spotted a red bite mark with a blister appearance in the centre on her leg in May this year. But the next day, she couldn't put any weight on her leg, and realised the spot was bigger and full of pus. She went to her doctor, who prescribed her a course of antibiotics. The 27-year-old told the Mirror: "Within two days it had changed colour, swollen up so I went to hospital. They prescribed more antibiotics because they could tell it was either fangs or claws and they even asked if I had been abroad. "A couple of days after that I was shivering, I had a high temperature. I went to hospital and they admitted me straight away." At the Royal Berkshire Hospital Miss Boddy was given x-rays to check for bone infections, and was tested for blood poisoning. She was put on a drip and onto the ward. The next day she had surgery to remove the bite as it had become and abcess. 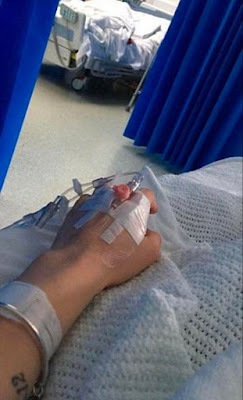 She spent two-and-a-half days in hospital before being sent home with more antibiotics. A couple of days later, she was lying in bed with her youngest son, aged two, and felt another bite. She lept up straight away but couldn't spot the critter anywhere. 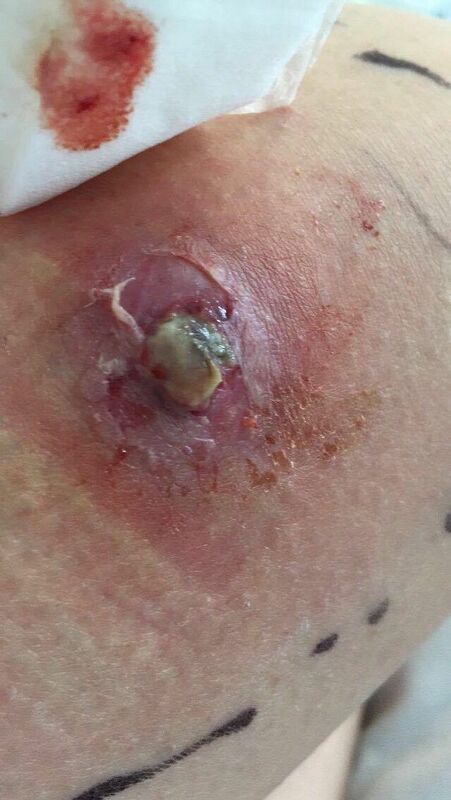 As she was still being treated daily at the GP surgery for the leg would, her nurse reassured her the antibiotics should take care of this bite too. Miss Boddy said: "About two days later the bite was massive and the doctor took one look at me and rang the surgeon to have it removed." It was after her second discharge from hospital that she spotted the spider, when sat her home with her mother. She said: "My mum spotted something moving on a fancy dress cape, so we grabbed it and put a glass over it. 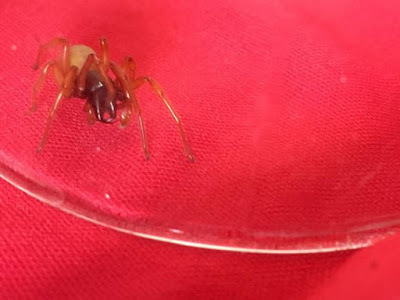 "It was attacking the glass, had its fangs out and was rolling into a ball. "I was going to send it for testing but I didn't want it to be knocked over so I hit it with a slipper." Miss Boddy said that she had not had any problems since she killed the spider.